Winter garden maintenance – Maintenance Services Direct understand that it is tempting to retreat indoors during the winter period and leave the outdoors to fend for themselves. The truth however is that your outdoor spaces require TLC whatever the season. If you gaze out of the window your garden and patio area may look a little weary during the winter months and without the promise of the sun on your back, it can be very difficult to find motivation to carry out any essential maintenance or repair. However with the help of Maintenance Services Direct along with this essential guide it doesn’t have to be an onerous task, get your garden and outdoor spaces in shape and ready for Spring. 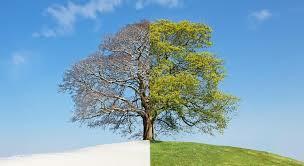 Your lawn may be in a dormant state throughout the winter period with growth down to a minimum but even the winter period has warmer days which results in some growth. If you carry out any mowing on a winter lawn try to remove only the top third of growth and try to be gentle. Growth can be kept to the bare minimum by NOT feeding the grass. If you find that the grass does grow there is a real risk that it won’t be able to weather the harse conditions such as frost, If frost does fall try NOT to walk on any lawn areas as this will leave foot prints due to the grass stalks being broken. The winter period is an ideal time to determine whether the lawn requires aerating in the comin spring period, look for signs of the water puddling after a period of heavy rain. Garden weeds can be a right pain in the Grass so try to keep them under control to help minimise damage to your lawn. It is also a good idea to root out any of those large weeds both on lawns and other ourdoor areas along with removal of any fallen leaves and other debris. (remember to compost or recycle any garden waste). Winter is the ideal time to prepare for a new lawn. When digging in the proposed area, be sure to leave some clumps of soil on the surface, the frost will take care of the deposits by breaking them down. Outdoor water features such as ponds suffer during the winter period due to to freezing and contamination from fallen leaves and debris. Quickly clear the pond of any dead leaves and weeds and try to trim any overhanging shrubs so that any plant life within the pond has access to any sunlight there is. (please be extremely carefull when working in and around water features as there is a real risk of damage to health even death). 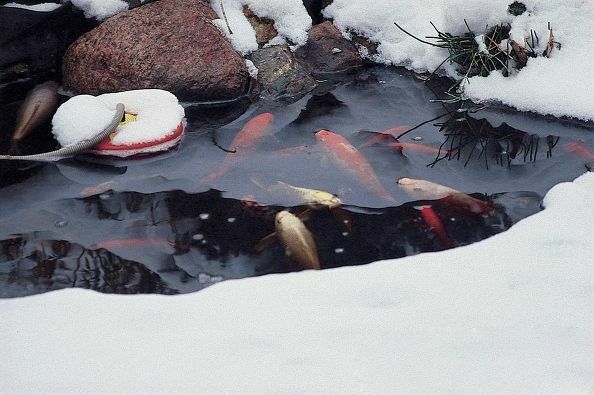 The biggest risk to your pond is when the temperatures plummet to a level that the water freezes over. The ice prevents the harmful gases escaping and valueable oxygen from entering the water (vital for wildlife, fish and plants). The best solution is to invest in a pond heater but this depends on the type of fish you have. this solution however may not be the best value for money. There are some suggestions about leaving a pond pump running, but be very cautious when doing this because the pump can also freeze up and this could cause the pump to burn out or at best blow and fuse protection there may be. A good solution is to use specially designed polystyrene foam floats, these will prevent the area freezing. If the temperature drops well below freezing and the water does freeze over simply place a pan of boiling water onto the ice – NEVER pour the water onto the ice, as this will ice over too. During the winter months garden equipment may not get much use or for many households probably no use at all. It is however a good idea to carry out some basic maintenance prior to confining it to the shed or garage. Lawn mower blades may need sharpening, general cleaning of ALL gardening tools and a light coating of thin oil such as WD-40 will help keep things moving and help prevent corrosion. Any garden tools that have petrol driven engines will require servicing and any old fuel carefully drained off (remember to store or despose of any fuels correctly). Garden hoses should be drained to prevent freezing and splitting and stored to prevent frost damage. Outside taps need protection as well either by covering with hessian or purchase a purpose built insulating tap cover. Garden plant need protection during the winter months, A layer of bark, compost or mulch at around 2 inchs will help insulate the soil to offer some protection from frost and freezing while placing grit or gravel around plant stems will stop moisture collecting and rotting the stems. Any mulch or compost placed around the area will slowly breakdown during winter months and add vital organic matter and nutrients to the soil shilst also improving drainage. This will give your garden a good headstart for the spring period. If you are a keen gardener it is a good idea to take cuttings as you go to offer some insurance should the plants be killed off during the winter period. Remembering to maintain your garden throughout the winter months will certainly make sure you have more time to enjoy it when the weather starts to warm up!